Protecting your Intellectual Property (IP) is a complicated task – and if you don’t do it correctly, you run the very real risk of your secrets getting out and being used by competitors or others interested in benefiting from it. Fortunately, there are a few things you can do. These three things are often confused by the public. A copyright primarily applies to works of authorship, including (but not limited to) computer software that your company may be using. A patent mainly applies to processes, machines, and chemicals. A trademark involves the Designs, Symbols, Phrases, and/or Words used to distinguish the source of what you are providing. For example, if your company created a machine as well as the software to run the machine, you would probably need to register all three of these things in order to provide the maximum amount of protection. On the other hand, if you only created the machine itself – and allowed others to create software for it – you might only file for a patent and a trademark. Never assume you know what registrations need to be made for a given piece of intellectual property. Even if other people need access to your IP – for example, employees at your company using the software you created – you can protect yourself by limiting people’s ability to access the basic information. This typically includes things like the source code of software, the schematics for a product or the exact method to create a particular chemical. In many cases, you cannot completely limit access – some or all of the information may be public (from registering it in the first place), or perhaps you’re selling the use of your IP while holding on to the ownership and right to license it out. Still, it’s worth restricting access to the maximum practical extent – ideally on something that can’t be accessed remotely. Sooner or later, many pieces of Intellectual Property get out. People might disassemble your product, hack into the source code or perform chemical testing to figure out what exactly is in something you created. Merely registering and limiting access is not enough – you must regularly be on the lookout for anyone that might be using your IP in an unauthorized way. Even if the genie gets out of the bottle, rigorous defense can help curb excesses and protect you from financial loss. Douglas Park Law specializes in commercial legal services, including the protection of your Intellectual Property. If you own any kind of IP and haven’t yet taken steps to protect it, you could be at serious risk of financial loss. On a matter this serious, it’s always best to be sure. Contact us today by phone or over the internet to set up a free consultation, and our firm will help you understand what your current risks are and how you can best protect your investments. Disclaimer: This article is not an exhaustive discussion of the methods and techniques needed to protect Intellectual Property. Depending on the IP in question, some methods may need to be adjusted or replaced by alternative techniques. 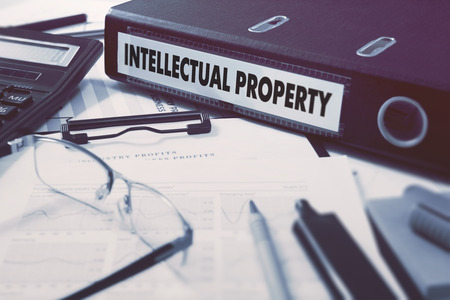 Before you implement any of these strategies, talk to a qualified attorney to ensure that your intended IP protection plan is adequate for your needs.